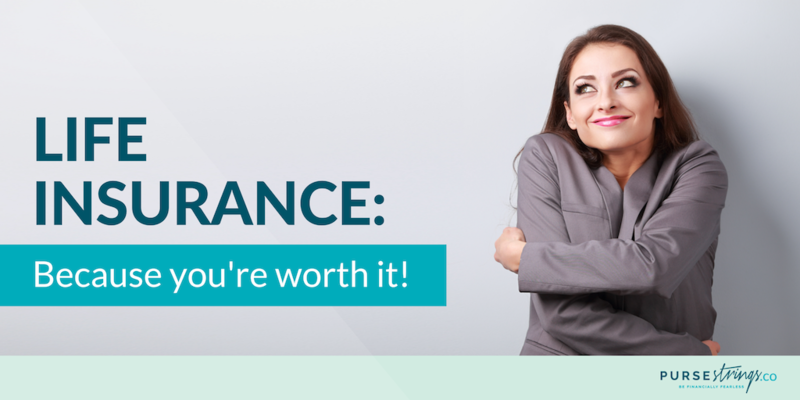 Life insurance is shockingly something that very few women consider. Whether they are the breadwinners, or the support, they tend to devalue themselves and leave their families struggling if they pass. Among those with life insurance, about 1 in 5 say that they do not have enough. Sometimes it’s necessary to remind yourself: you matter, and you have worth. Many of the ways in which you positively impact the lives of those around you can’t be quantified—the affection you shower your family with, the way your laugh lights up a room, or the amazing pep talks you give when someone’s feeling down. Some of the vital ways in which you impact the lives of those closest to you, though, actually can have a value attached. You can use those numbers to figure out one way to help your survivors after you’ve passed: securing sufficient life insurance. Even in this day and age, many people believe life insurance is mostly for covering funeral expenses once you pass on. However, there is so much more to consider. Your departure from this world will leave a hole in the lives of your loved ones, and ensuring the amount of life insurance you have is sufficient for your survivors will help—in ways both small and significant—ease the pain of missing you. If you are struggling to understand how much you need, one helpful tool is the DIME method—debt, income, mortgage and education. Sometimes it’s necessary to remind yourself: you matter, and you have worth. It might be wonderful if our financial obligations to our creditors were buried with us. Unfortunately, they’re not. That means your survivors will be on the hook for your car payments, student loans, tax returns, credit-card debt and other outlays. You can ease the burden with life insurance helping cover those debts—add those numbers up to determine how much life insurance you need to cover them. As a working woman, the bacon you bring home is just one part of your contribution to the household. If you die, that income will be lost to your family, possibly making the task of meeting all the bills and expenses a hardship. If you don’t currently work—whether you’re a stay-at-home mom, unemployed, retired or other—you still contribute, and that contribution will be missed if you’re suddenly gone. Everything you do around the house—yard work, child care, maintenance, and more—will need to be taken care of. Figure the value of all those services you perform, and add that to your life insurance estimation. Most adults that own their own home don’t exactly, own it. They have a mortgage held by a financial institution they need to pay off every month. Once those payments are done, then they own it. You might be in the home stretch of paying off that 30-year or just getting started—either way, if you die, your survivors will have to cover the remaining payments. Figure in your remaining payments when making your life insurance calculation to ensure your family will continue to live in the home you created. The cost of sending your kids to college isn’t cheap—and that significant burden is increased if you pass on and your contributions to the college fund cease. Tabulating the figures is made more difficult if your children are still well below college age, because of all the questions: Will they be going to a state school, or private? Can you count on scholarships? What about graduate school? The answers are all speculative, but here’s one thing you can be certain: adding the cost of higher education in your life insurance can help your kids make the grade. Now that we’ve dropped a DIME on you, your next step is putting all of these numbers together. It’s not an easy process—it’s a good idea to connect with an insurance specialist, financial planner or other experienced professional for guidance. We can help—contact Purse Strings at info@pursestrings.co and we’ll connect you with the resources and advice you need to protect your family whatever happens.